Echo Connection is a court reporting firm that is proud to be owned and operated by realtime captioners and court reporters. We offer remote and onsite realtime captioning and traditional judicial services. We pride ourselves in providing high-quality work product and tailor each service to meet the unique needs of our clients. Our team members are the best in the business, having achieved many advanced certifications, including Certified Realtime Reporter, Certified Broadcast Captioner, Certified CART Provider, Certified Realtime Captioner, Texas Level III CART Provider. Echo Connection’s mission is to provide clients with an exemplary product that is reliable and consistent. Our team is dedicated to delivering seamless connection from speech to text to computer to increase efficiency and workflow for our clients. We pride ourselves in exceptional customer service, providing professional, courteous, and friendly services that are tailored to the specific needs of our clients at all levels. We do this by valuing and recognizing our captioners and reporters as our strongest asset, each possessing a diverse skills and a tremendous talent. APRIL C. BALCOMBE – OWNER – April has been a certified shorthand reporter since 1993 and a certified realtime reporter for 14 years. In 2001, April took part in the CART Mentoring Program by the Deaf and Hard of Hearing Resource Center. She then discovered her true passion to create connections for hard of hearing individuals and giving clients equal access and inclusivity. April also enjoys working with attorneys to develop clean records and to instantaneously improve the connection and workflow of litigation. April has realtime captioned, both in person and remotely, people such as Bill Gates, Karl Rove, Stephen Hawking, as well as countless renowned authors and professors. Her captioning has included live audiences of up to 2,000 people. She also completed a pro bono collegiate project, providing captions live and offline for the collegiate chapter’s YouTube website. April has captioned live, breaking news events for extended hours at a time while maintaining composure and focus during traumatic events such as the Sandy Hook and Fort Hood shootings. April’s extensive judicial experience includes civil and criminal litigation, reporting both for state and federal cases ranging including capital murder, medical malpractice, and family matters. APRIL C. BALCOMBE – OWNER – April has been a certified shorthand reporter since 1993 and a certified realtime reporter for over 14 years. In 2001, April took part in the CART Mentoring Program by the Deaf and Hard of Hearing Resource Center. She then discovered her true passion to create connections for hard of hearing individuals and giving clients equal access and inclusivity. April also enjoys working with attorneys to develop clean records and to instantaneously improve the connection and workflow of litigation. April has realtime captioned, both in person and on live television, people such as President Barack Obama, Bill Gates, Karl Rove, Stephen Hawking, as well as countless renowned authors and professors. Her captioning has included live audiences of up to 2,000 people. She also completed a pro bono collegiate project, providing captions live and offline for the collegiate chapter’s YouTube website. April has captioned live, breaking news events for extended hours at a time while maintaining composure and focus during traumatic events such as the Sandy Hook and Fort Hood shootings. She has provided captions for Rosh Hashanah, musicals and plays through the LED Red Bar. 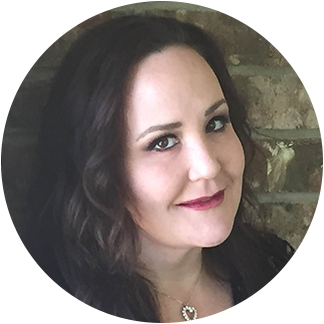 She has worked at SXSW, architectural, high-tech, medical and professional conferences, as well as working one year providing CART for the Hearing Loss Association of America. April’s extensive judicial experience includes civil and criminal litigation, reporting both for state and federal cases such as capital murder, kidnapping, aggravated assault, medical malpractice, commercial and business litigation, family matters. We offer Computer Access Realtime Translation (CART) in any type of forum, including conventions, seminars, educational lectures for universities, business conference calls, webinars, GoTo Meetings, graduations, special events, etc. We can do this both on location and remotely. We also are certified to work in court as a Certified CART Provider with litigants or jurors who are hard of hearing. With the new FCC Rules in place, we ensure our clients we are complying with any and all requirements. Our captions are accurate, synchronous, and aligned properly. We have experience with city council meetings, commissioner court meetings, news stations, emergency captioning, severe weather coverage, political debates, along with many other venues. We offer offline captioning from speech to text in English, as well as from English to Spanish translation. This includes college courses which professors have previously recorded, interviews, television shows, and lectures. We exceptionally match time codes with text to provide an efficient connection with the spoken word. In addition to traditional court reporting services, we offer our clients daily copies realtime and/or offer a special bundle for both realtime and rough drafts. We rigorously strive to meet strict deadlines while providing high quality products. We have the capability of providing live and remote depositions. Our goal is to provide our clients accurate realtime and certified transcripts to aid in efficient workflow.